There's something exquisite about 1960s films. The daring fashions, the wild music, the renegade directors, and the experimental styles of film making. I find them fascinating. 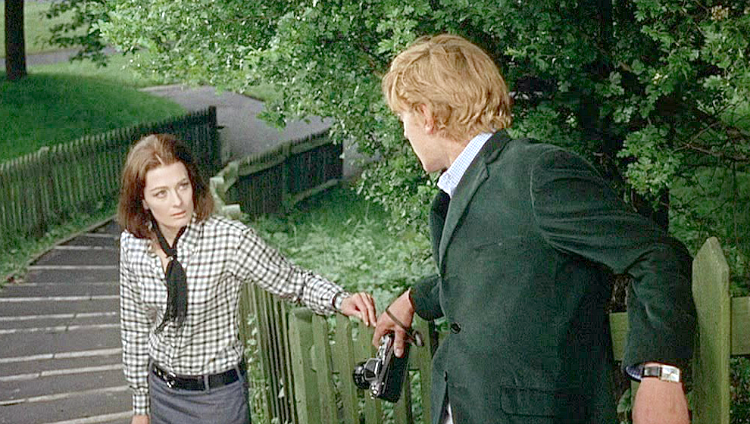 When I came across the film Blowup I read that it was considered one-of-a-kind. I had no idea what the critics really meant by it so of course I had to see for myself. It was released in 1966, filmed primarily in London England, with both Italian and British influence. 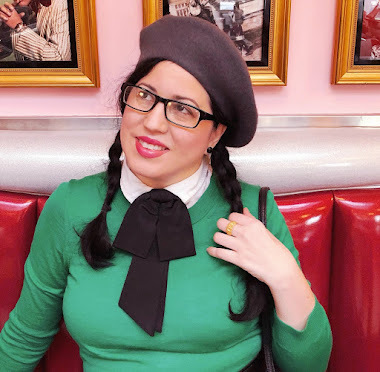 It was produced by the famed producer named Carlo Ponti. and directed by Michelangelo Antonioni. 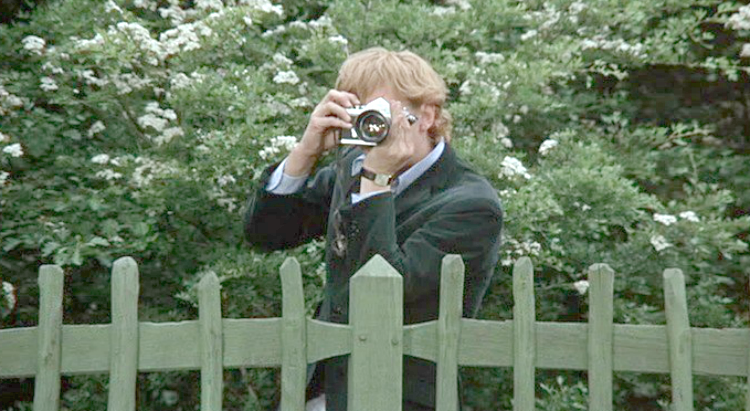 It follows the day in the life of a very sought after photographer (David Hemmings) named Thomas. We see him driving in his fancy rolls Royce, taking multiple pictures of 60's mod models, and randomly walking from place to place. Then everything changes when he decides to take a walk into the park. It is a stunningly large and beautiful park when in the middle of it all he takes notice of two lovers sneaking away for an embrace. I found myself paying extra close attention to see if I would catch anything strange going but the neat thing the director does is have you get slowly entangled into the mystery with Thomas. You are seeing things as he is seeing things. The manner in which he goes into discovering the reality of what he saw in this park is fantastic. I couldn't take my eyes off the screen in fear of missing any tidbit. Vanessa Redgrave plays one of the lovers but who she is left to our imagination. Actually all the characters that surrounded the main character of Thomas are not fully fleshed out. I believe this is to make Thomas and the mystery that he captures on film the central characters. It is Thomas and his camera that are the stars of this show. And what a show it is! 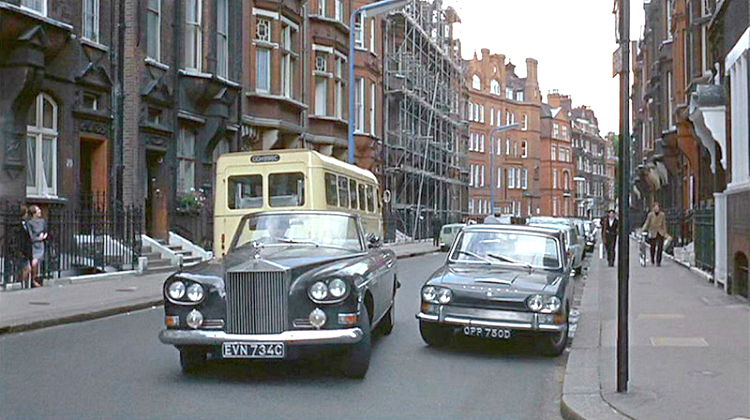 I absolutely adore seeing films set in a mod 60's London. They are always interesting, fun, and creative. This film encompasses it all. It sounds intriguing and looks very stylish.